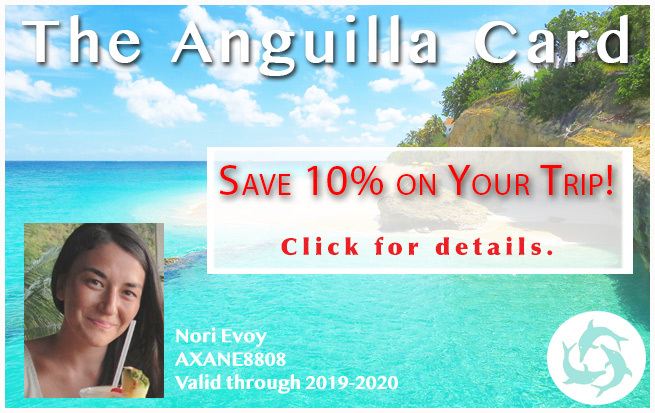 Over the years, during our trips to Anguilla and since moving to Anguilla, our family has gathered a big enough list of favorite Anguilla restaurants to make an Anguilla guide dedicated to eating out! The question has always been, how do you organize this lengthy list? special little cheap (but still delicious!) spots. Kind of like a contest of top meals! 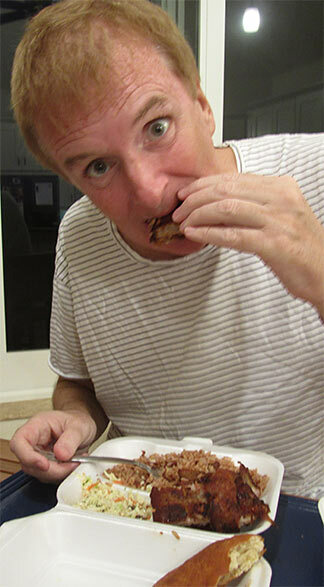 You can spend a lot on BBQ chicken and ribs at many Anguilla restaurants. Or you can gorge on some of the best at B&D's for a fraction of the price. 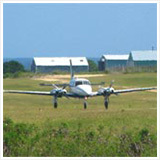 B&D's is a favorite on the island! Their chicken and ribs have a deep, smokey taste. Here, you can get plenty of sides, too, including macaroni salad, rice and peas, fries and even Johnny cakes. They are only open on weekends, and they sure do get busy. I recommend going early to make sure they don't sell out of anything before you get there! Another BBQ favorite is Ken's Pork, located in The Valley. Their ribs are loved by many! I love sandwiches of all kinds. Chicken, tuna, ham, cheese, roast beef, anything goes by me! Sliced bread is fine, but French baguette is preferred. Add fresh tomato, lettuce and mayonnaise... I'm in heaven. That is the exact recipe followed by Geraud's! 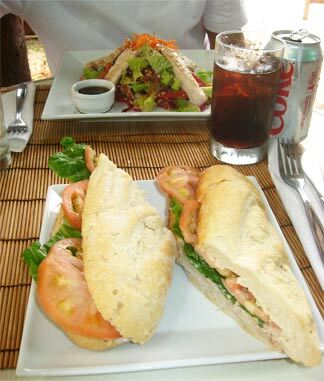 For an assortment of sandwiches, there is no topping Geraud's quality and selection. 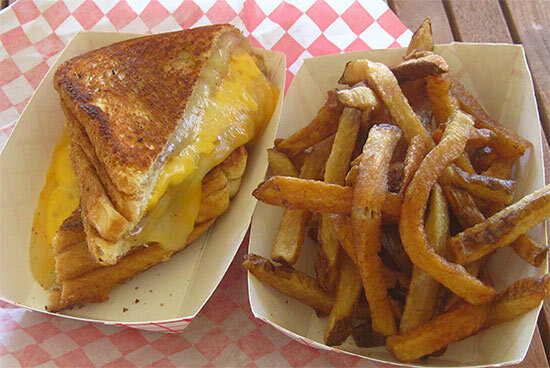 A Burger is no longer open, but we sure long for their classic grilled cheese. They called it a "melt". Made with a blend of cheese and served on Geraud's rustic country bread, this triple decker was greasy, crunch, gooey and oh-so-tasty! 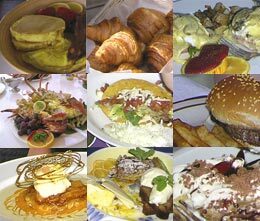 Deon was the king of breakfast on Anguilla. His perfect pancakes and crisp bacon were not only a favorite for my sister and I, but for Keith Richards (the king of rock) too! Sadly, Deon's has since closed. Tasty's has since become our top-pick, his "Two Egg-citing" breakfast being our second favorite breakfast on the island (the first is his "Caribbean Sampler" mentioned above). 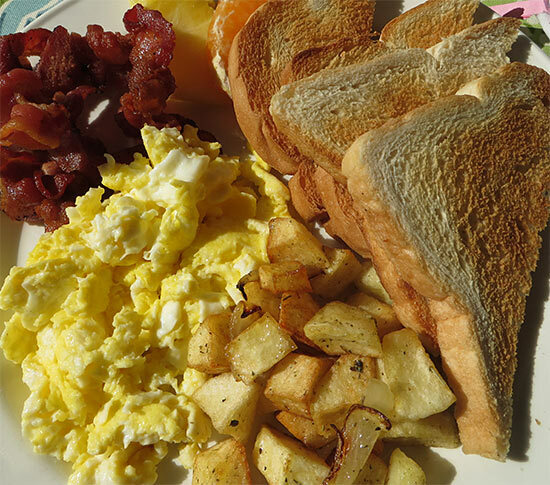 This comes with 2 eggs any style, bacon, home fries, fresh fruit, toast and your choice of coffee or bush tea. For location and quality of morning cuisine, Straw Hat can't be beat. Straw Hat's breakfast menu has many options. From New York City bagels, to French Bread French Toast, to pancakes, to frittatas, to egg sandwiches, you are well covered here. 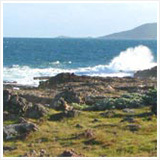 And, the ocean-front setting is unbeatable! 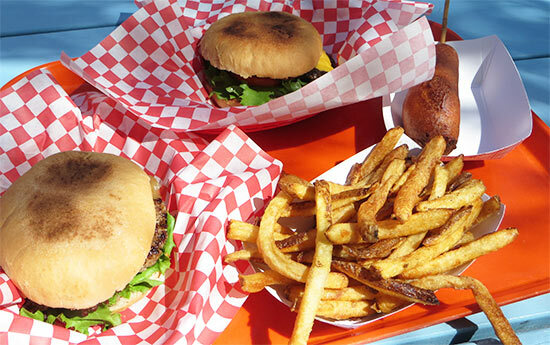 Ferry Boat Inn is famous for their tasty burger, charbroiled to perfection and served up with yummy fries! Runner-ups included BJ's Big Spring (they have since closed). BJ's Big Spring was a 6 oz., hand-crafted burger, juicy and flavorful. And, there is no forgetting Pumphouse's burger. Pumphouse's has a distinctive smokey, charcoal taste to it. Outstanding. 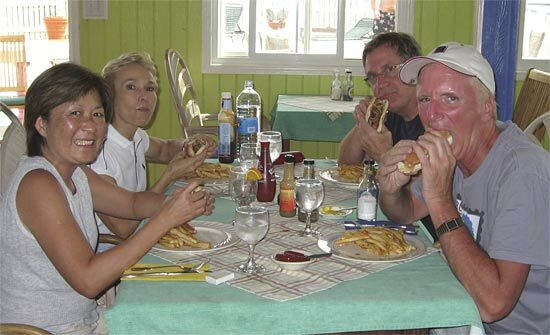 I have yet to write a full page about our favorite Anguilla hot dogs, but my Dad discovered them with family friends, recently. The award goes to... Arawak Inn! My Dad says Maria cooks them to perfection and there are no crunchy skins. Apparently, she boils them and grills them. Mmm! My Dad also has oohed and ahhed over the hot dogs from Blanchards Beach Shack, which serves up a tasty 100% Angus beef hot dog! For my family and I, the perfect french fry is one that is truly French. Thin, hot and crispy! We had only ever sampled such sensational french fries over in St. Martin. 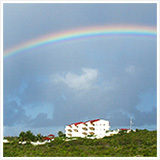 But Anguilla surprised us again! The best (truly) french fries on the island could once be found at Le Bistro at Malliouhana Resort. Le Bistro at Malliouhana closed in 2011, but Le Bar has re-opened, this time with extraordinary true French fries on their menu. 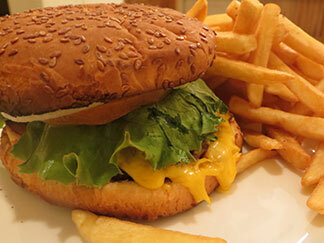 As for as thicker-cut fries, A Burger was a favorite before they closed. Today, some of the best fries on the island can be found at Ferry Boat Inn. They are hand-cut daily! This is a tough one! 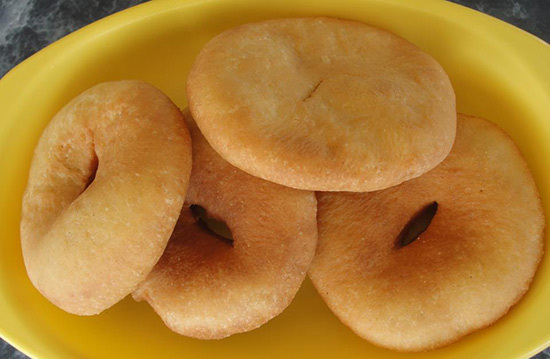 For your "traditional" Anguilla Johnny Cake, battered and deep-fried, you just can't beat Veya, Tasty's being a close second. But there is more than one way to make Anguilla Johnny Cakes! For an old-fashioned Johnny Cake, baked as they were years ago, Joan and Cyril's BBQ Pit is #1. 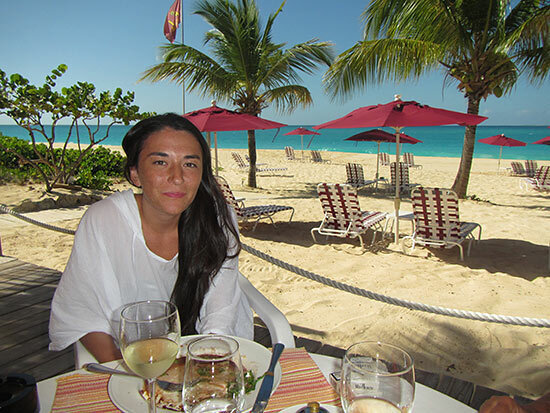 One of the best things to do on an Anguilla vacation is to do nothing at all... find a good spot for lunch on the beach, preferrably with comfy beach chairs, and just laze the day away. We have two favorite spots for "lunching and lounging." 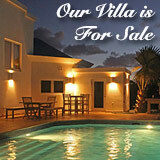 The first, a more casual and affordable option, da'Vida. 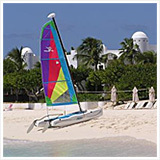 On Crocus Bay, the beach is good for floating and there are lots of water spots available (kayaking, snorkeling, etc.). Everything on the menu is tasty, and the options are many... whether BBQ ribs and chicken, a grilled cheese sandwich or pizza. 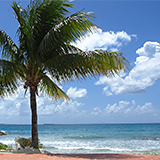 Our second favorite beach-lunch spot is Jacala. 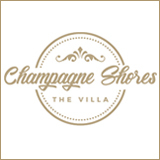 More expensive, with a French menu, this is THE choice for lovers of carefully executed French cuisine. 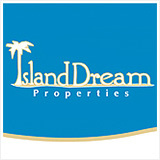 Jacala is right on Meads Bay, one of the island's best big beaches. Cooling off in the water after a refreshing meal of salads and carpaccios, with a glass of rosé... there isn't a better way to spend an afternoon. It is simply the best! In a light, creamy broth, this soup is rich in flavor, without being overpowering. 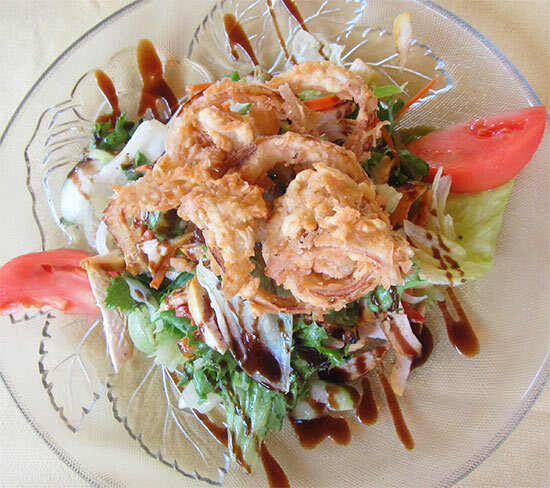 A bed of fresh greens, onions and tomatoes, it is topped with cubes of cheese, slices of grilled chicken and crispy onion rings. OK, so the onion rings part isn't healthy, but it provides a nice crunch and contrast. It is my favorite salad on the island! Roy's Bayside Grill gets my vote for most delectable fish and chips, a don't-miss meal all around. This dish can be tricky to prepare... the batter can't be too heavy, nor can it be soggy. Luckily, Roy's Bayside Grill was formerly an English pub. The English specialty? Fish and chips of course! The red snapper is wrapped in a light, crisp batter and served with yummy chips. Delicious! Sushi? In Anguilla? 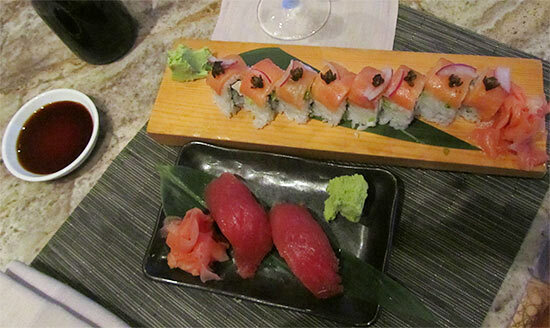 I know what you're thinking... Anguilla is not a sushi destination. 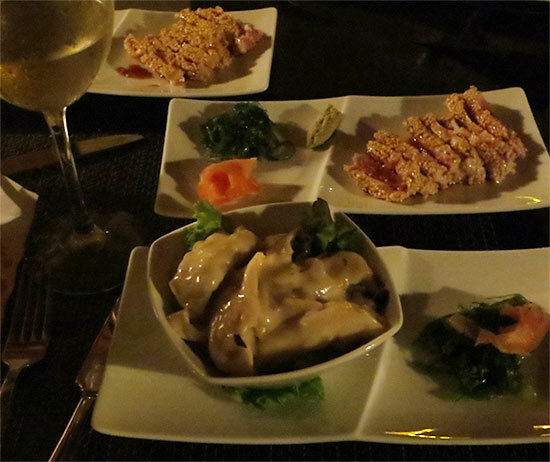 A few restaurants on the island are known for their sushi dishes. Our favorite for a long, long time was the Sunset Lounge at Viceroy. With a variety of creative Anguilla-inspired rolls (one of my favorites incorporates Anguillian crayfish!) made with fresh local seafood, and your staples (sushi and sashimi plates), the options are plenty, and they are all good. The setting is pretty phenomenal, too! But... now, sashimi piece for sashimi piece, Tokyo Bay has our vote for #1. Each sushi roll, each slice of sashimi is prepared in classic Japanese fashion (in addition to more traditional sushi and sashimi options, they offer a variety of more Western Maki rolls). You really can't go wrong with any of the choices, but our dish of choice is the Salmon Nori. 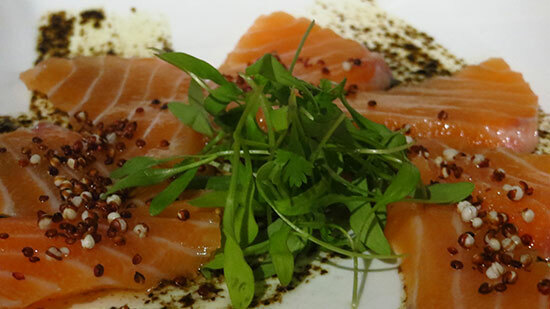 Raw pieces of fatty salmon are lightly topped with puffed quinoa. I always have a double order! Last, but certainly not least... if we're getting granular... the best sushi roll on the island? 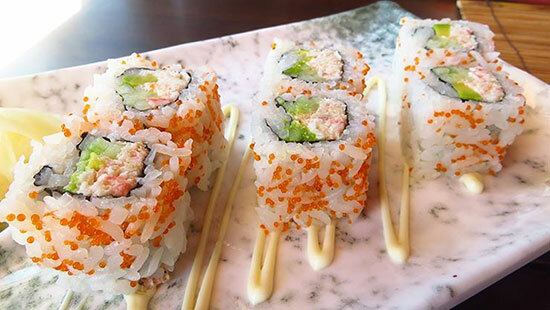 Cha Cha San's California Roll. This is one roll I could eat everyday for the rest of my life. With Chef Ken Lin at the helm, it's really no surprise this staple is executed so well. From the rice on the outside, to the ingredients on the inside, all elements are perfectly balanced. And, it's made with REAL crab! On an Asian note, one restaurant has to be called out for their mouthwatering dumplings... da'Vida! Served in their bar, on their tapas menu, da'Vida's dumplings are simply divine. 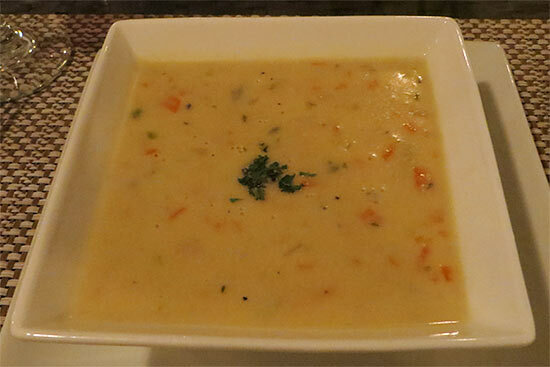 Steamed and served in a light coconot chili broth, they are innovative, pulling from both Asian and Caribbean influence. We always order 2 plates of these! 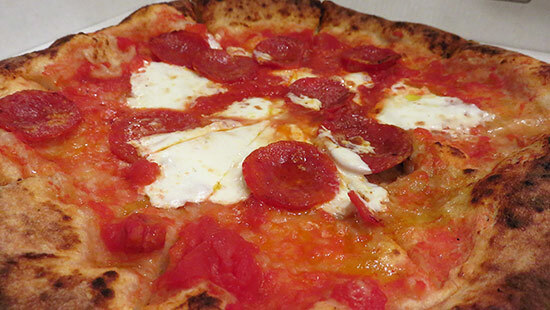 For the longest time, the #1 Anguilla pizza was, contrary to what you may have believed, not made by Italians. But by Brits. The pizza at the Arawak Inn is a must-try! Un Amore, an Italian eatery and pizzeria, once gave Arawak a run for their money. Their thin-crust, light pizza, with, my favorite, garlic and broccoli, was delicious! Today, they are closed. Dolce Vita, an Italian restaurant on Sandy Ground, serves one of the best pizzas on the island now, with a crispy crust, with innovative toppings (try the Bolognese pizza!). This one causes a lot of controversy! Every person in my family has a different top choice. My sister gives Ripples the top spot for spaghetti and meat sauce. The noodles were cooked just right, the sauce slightly spiced... exactly the way my sister likes it! 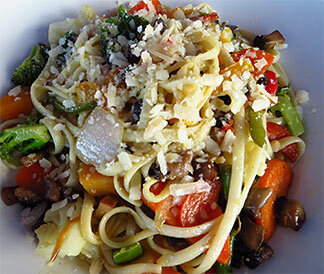 My Mom loves Ocean Echo's Rasta Pasta, loaded with fresh veggies and topped with cheese. My heart will always be loyal to Trattoria's pasta Bolognese. And we all love Dolce Vita's hearty lasagna and Elite's oh-so-smooth gnocchi. Another stand out? Lobster ravioli! Many Italian restaurants serve lobster ravioli. My Dad's favorite is from Trattoria Tramonto, which is very creamy. I'm partial to the same dish served at Italia. In a light lobster bisque sauce, it is delicious, without being heavy. NOTE: The lobster ravioli has since come off the menu at Italia, but you can still get it for dinner at Trattoria and at Elite! There once was a time when Zurra would "take the cake" on this one. Errr... I mean, take the cupcake. This had to be the best dessert in the universe! A warm, moist, rich chocolate cupcake, topped with equally delicious, smooth chocolate icing, filled with hot chocolate fudge and topped with vanilla ice cream. I thought I would die from happiness! This decadent dessert only lives on in our memories today. 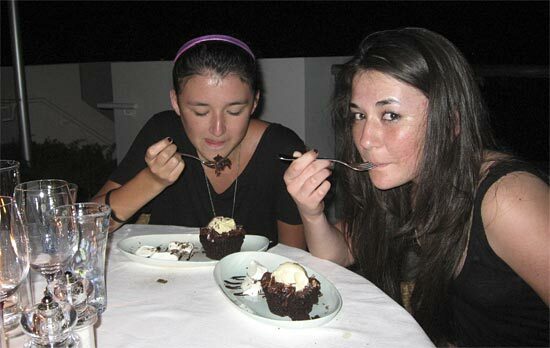 Head to Trattoria Tramonto in West End Anguilla for the best chocolate cake dessert, their "Chocolate Bomb." 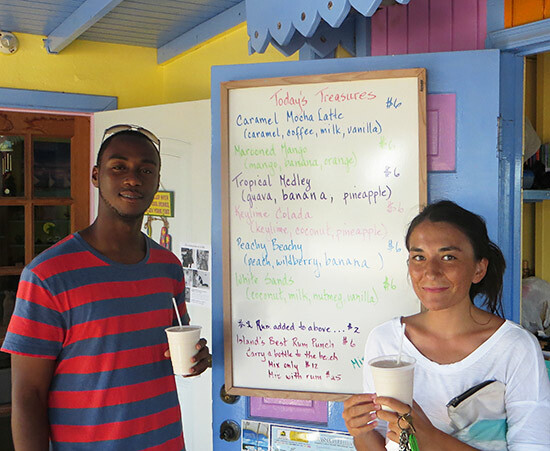 Hands down, Pamela's colorful smoothie shack by the Sandy Ground round about, Sea Spray, makes one of the best refreshing drinks on the island, her special smoothies. The best type, and the one that's the most popular with locals, is White Sands. It's made with coconut, milk, nutmeg, vanilla and topped with tasty cookie crumbs. Sweet, creamy and cool, it's a refreshingly delicious treat. For $6, the price is more than fair (you can also add rum for $2). 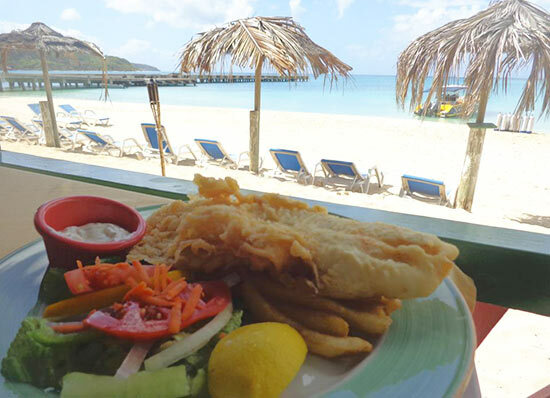 Guide Us To Your Top Anguilla Eat! Do you have an absolute favorite for a "top eat" that our family has missed? 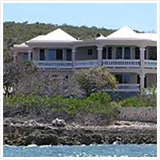 For example, do you know the #1 place for crayfish on Anguilla? 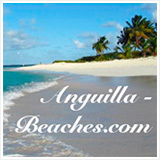 We, along with all visitors to Anguilla, would love to hear about your "top eat." From fries to calamari, from burgers to rum punch, guide us to the best! Do you have a mouth-watering photo to add? Great! Click the button and find it on your computer. Then select it. Click here to see the rest of the form and tell us about your top eat! Click on the links below to read about other visitors' favorite eats. Best Breakfast Is At Tasty's! Ziggy's Top 7 Dishes in Anguilla Food and travel blogger, Ziggy reveals his most memorable dishes in Anguilla.